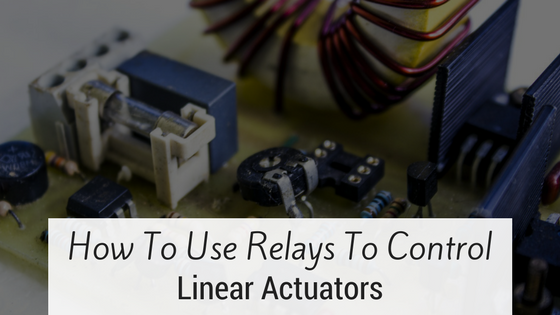 In this post I'm going to go over how to use a relay to control the motion of a linear actuator. I'll cover not only how to use a relay to control your actuator, but also some situations where you might want to. We offer a simple relay kit in our store that is designed to work with electric micro linear actuators. For larger projects, there are relay boards available with 2, 4 and even 8 channels. You can find larger relays at RobotShop. A relay is simply a switching mechanism. It allows you to control a big switch with a smaller switch without the current of the primary load running through the smaller switch. This is important in applications where only a small amount of current is available to control a switch as well as applications where the switch you want to use is not rated for the current your load requires. As I mentioned above, a relay adds a second switch into your system. 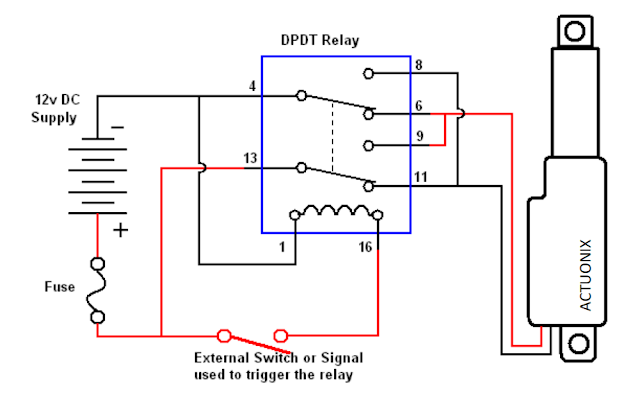 Basically, a relay is just a switch that is controlled by a smaller switch. They work by using a small current form the input source to activate an electromagnet. The electromagnet pulls a switch and allows a higher current to flow through the opposite side of the relay. It's a cheap and effective way to switch a larger load. Sometimes you want or need to use a switch that is not rated for the load of the device you're working with. This requires a relay to switch the higher load. Another example is if you're using a microcomputer or microcontroller such as a Raspberry Pi or an Arduino. They are only capable of a very small electrical output. A relay would be required to handle any significant electrical load. If you're interested in driving a single actuator via Arduino. Our -R series linear servos might be a better option for you. Many Arduino boards are capable of driving one actuator directly off the board and since they're a plug and play replacement for standard rotary servos, they're easy to use. Relays are popular for vehicle automation applications. They are ideal because it's possible to tap into an existing circuit within the vehicle to use as a switch for the relay. An example would be if you're using actuators to drive pop-up headlights, a relay could activate them when you turn on your headlights or even your ignition. The low-power side of a relay draws very little current so it's often possible to tap into an existing circuit without drawing too much current for the circuit to handle. This could be any microcontroller application. We have thousands of customers using our actuators with Arduino. Adding in a relay kit makes switching power on and off safe and fairly simple. By using our DPDT relay, you can make your actuator extend with the push of a button, and retract automatically when you release the button. By reversing the actuator's two leads, it's possible to reverse this effect. This would cause the actuator to remain extended full-time, and retract at the push of a button. I've included a wiring diagram below that shows you exactly how to connect your actuator to the Actuonix relay kit. These wiring instructions remain the same whether you're using a latching or momentary switch. 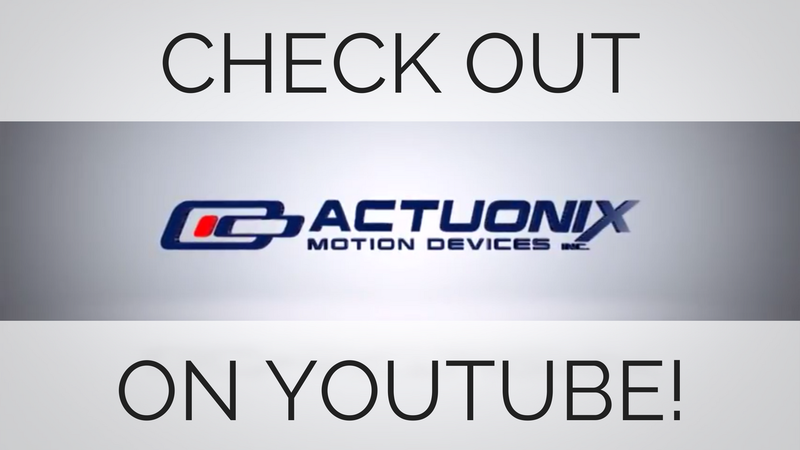 We filmed a video recently to demonstrate how you can use our DPDT relay kit to actuate your device momentarily and have it retract automatically. Our actuator relay kit is just one of the many linear actuator accessories we carry. In our store you'll find a full line of actuator controllers, switches and accessories to make sure that you can control your device the way that you want to. Are you planning to use a linear actuator in your next project but need some help choosing the right device for you? Give our experienced sales team a call at 1-888-225-9198. They will be happy to assist you.